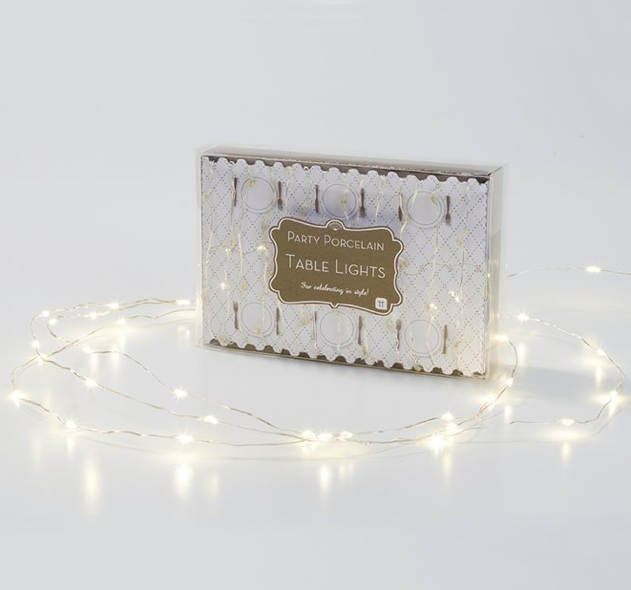 Use this string of dainty lights to brighten up your top table. Alternatively, add an atmospheric glow to your venue and pop them into a bowl or bell jar to make gorgeous table centrepieces. Stunning. 60 warm white lights with AA battery pack. 3 Metres in Length.